Velvet Tops Just $17.99! Down From $40! FREE Shipping! You are here: Home / Great Deals / Velvet Tops Just $17.99! Down From $40! FREE Shipping! 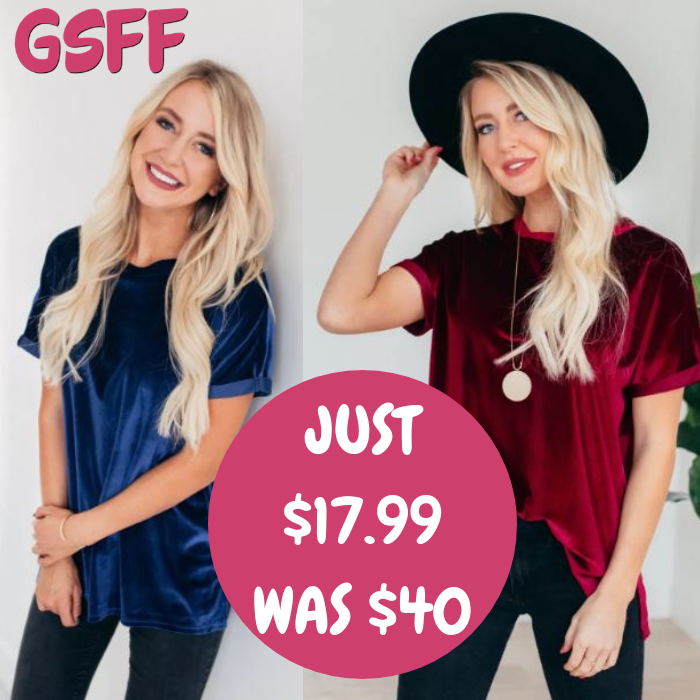 Head over to Jane to score these Velvet Tops for just $17.99 down from $39.99 PLUS FREE shipping! Take your look from day to night with this fabulous velvet tee. Pair it with jeans, faux leather leggings or a pencil skirt and wait for the compliments to roll in. Fits true to size. For a fitted look we suggest sizing down.